The rarefied world of the ultra-luxurious SUV has seen quite a bit of activity in recent years, with the Bentley Bentayga proving that shoppers are willing to pay top-end luxury sedan money for a similarly lavishly equipped SUV; the Range Rover SV Autobiography now enters the fray as the top offering in Land Rover’s luxury SUV stable. Equipped with an uprated supercharged V8 engine and available in both standard and extended wheelbase versions, the SV Autobiography promises superb levels of performance and luxury. The cabin of this top-range model is fitted with just about every luxury and technological feature available on the rest of the range. The front seats are supremely comfortable and the high driving position and generous interior make this one of the best long-distance vehicles around. The rear seats are just as pleasant to sit in as the front pair, and while there is no lack of leg or headroom, the extended wheelbase option provides even more space to stretch out. While there is no denying that the SV Autobiography is extremely well-built and features some top-level materials, the big hike in pricing over the rest of the range does suggest more direct comparison with the likes of the Bentley Bentayga which arguably has the upper hand when it comes to the last word in premium look and feel. Updated air suspension settings, massive low-profile tires and adaptive damper settings can only go so far in masking the massive heft of the SV Autobiography. While it offers impressive body control and ride comfort on a variety of demanding driving conditions, the laws of nature do exert their influence when you attempt to hustle the big SUV around tight corners. While it is an improvement over the more softly set up Range Rovers, the Range Rover Sport and a number of cheaper rivals are far more willing and able to tackle twisty roads and sudden changes in speed. The SV Autobiography prefers to be gently stoked along on a massive wave of torque, its highway refinement is about as good as it gets and very little noise from the outside world makes it past the layers of sound deadening to disturb the occupants. Equipped with a reworked 5.0-liter supercharged V8, the SV produces 557 horsepower and 516 lb-ft of torque. An 8-speed automatic transmission transmits the power to all four wheels. Land Rover claim a 0-60mph time of 5.1-seconds, impressively quick for what is essentially a luxury penthouse on wheels, but in today’s world of massively overpowered SUVs it trails a number of competitors. What the SV Autobiography does offer is a massive swell of mid-range power that provides it with the kind of effortless pace that is befitting of such a luxury vehicle, there will rarely be an instance where you will wish for more pace. The SV Autobiography comes in one comprehensively equipped trim in either standard or long wheelbase versions. The standard list of features is huge but stand out items include electronic air suspension, soft-close doors, 10-inch touchscreen with navigation and 29-speaker audio system, panoramic sunroof and hands-free tailgate operation. Driver safety systems include blind spot and lane keep assist as well as a driver condition monitor and park assist. Long wheelbase models are fitted with upgraded luxury rear seats, rear foldable tables and a rear center console with a cooler section. A Signature Entertainment Pack compromising of a CD/DVD player and 10-inch rear seat entertainment screens is available and there are a number of no-cost options to pick from such as a heated windshield, heated wood and leather steering wheel, front center console refrigerator compartment and an activity key. 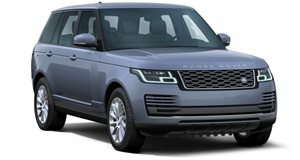 The Range Rover SV Autobiography is a luxuriously equipped SUV with superb levels of refinement and a specification level befitting its elevated asking price. It may not rival some of the more performance oriented SUVs for outright handling and pace but it leaves just about all of them for dead on ride comfort and refinement while still remaining very capable off the beaten path. The Bentley Bentayga may have an even more prestigious badge and arguably even more exclusivity but its looks will be an instant deal-breaker for some.